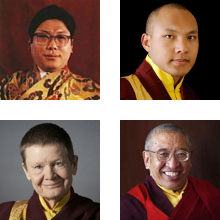 The Office of the Sakyong would like to announce that Gelong Loden Nyima, with the support of the Sakyong and community of Gampo Abbey, will be physically departing the Abbey and taking a medical leave of absence from his formal duties as Monastic Secretary to Sakyong Mipham Rinpoche and Shastri-in-residence. Loden has developed environmental health issues specific to his monastic home at Gampo Abbey which have become acute. 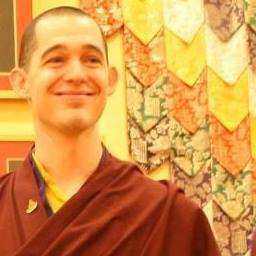 This leave of absence was at Loden’s request and will continue while his health recovers and he and the community can discern how best to take this in stride within the long term development of the Shambhala Monastic Order. This comes as sad news, but we are all confident that Loden will make a full recovery and that the Abbey will continue on strongly with the upcoming Dragon residency in the good hands of the monastic community, Acharya Pema Chodron, and other visiting teachers. Loden plans to take some initial R&R and then take the opportunity to engage in retreat practice, possibly teaching, and other dharmic endeavors as a Shambhala monastic. He expresses his gratitude for the community’s understanding and support. Please join us in our warm wishes for Loden’s swift and complete recovery.